How Overweight & Obesity Cause Diabetes? Missed Medication – What To Do? High Blood Pressure, Is It Normal? When You Need to See A Doctor? Air pollution-Is it dangerous for asthmatic patient? How to Prevent and Control Exercise Induced Bronchoconstriction? Do I Have Exercise-Induced Bronchial Asthma? Kidney Transplant: Is It For You? After Renal Transplantation – I Will Feel Different, But Will I Look Different? Are There Medications For Chronic Kidney Disease (CKD)? If I Have Kidney Transplant, Do I Have To Take Medication For Life? Will I Get Kidney Problem If I Donate My Kidney? 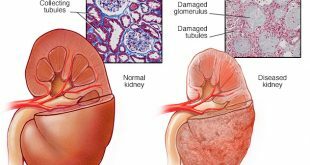 What Is Proteinuria And How Does It Occur? Rehabilitation: How Can You Help A Person With Chronic Kidney Disease (CKD) As Siblings? How Can You Help A Person With Chronic Kidney Disease (CKD) As Parents? There are some drugs that can potentially harm the kidneys. Not all drugs are harmful to the kidneys in a direct manner. Acute kidney injury generally occurs with chronic use of certain drugs. Ask your doctor or pharmacist about the potential for kidney injury if you are taking a new drug.